“The Fisher Queen” was first published in The Magazine of Fantasy & Science Fiction, May/June 2014. Escape Artists would like to draw your attention to a fantastic event happening next week at DragonCon, the Eugie Foster Memorial Award for Short Fiction. This annual award will be presented for the first time in 2016—for works published in 2015.The Eugie Award honors stories that are irreplaceable, that inspire, enlighten, and entertain. It will shine the spotlight on stories that are beautiful, thoughtful, and passionate. That change us and the field. The recipient will be a story that is unique and will become essential to speculative fiction readers. Also make sure to check out Ursula Vernon’s story “Jackalope Wives” available to read for free at Mothership Zeta. And mark November on your calendar for an upcoming story by Tamsin Muir. 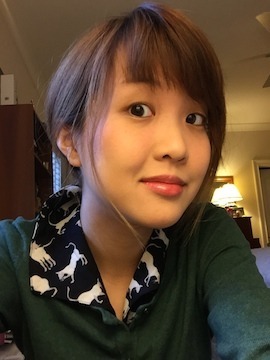 Alyssa Wong is a Shirley Jackson-, and World Fantasy Award-nominated author, shark aficionado, and 2013 graduate of the Clarion Writers’ Workshop. She made the shortlist for the 2015 Stoker Award and won the 2015 Nebula Award for “Hungry Daughters of Starving Mothers” which you should go check out at Nightmare Magazine. 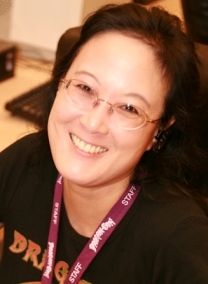 Her work has appeared in The Magazine of Fantasy & Science Fiction, Strange Horizons, Tor.com, Uncanny Magazine, Lightspeed Magazine, and Black Static, among others. She is an MFA candidate at North Carolina State University and a member of the Manhattan-based writing group Altered Fluid, and can be found on Twitter @crashwong. Alyssa Wong has been deservedly shortlisted for the Joseph W. Campbell Award for New Writers this year, and “The Fisher Queen” is part of why she made it to the list. Your narrator – Mae Heaney is originally from Manila, Philippines and currently lives in Melbourne, Australia with her Irish husband, 2 young children and Parmi the Chook. She is an IT professional who once briefly dabbled in theater, and loves to bake to tame the voices in her head. She is very successful in changing nappies under five minutes, but fails miserably in trying to read her toddler’s mind and in updating her blog celticpinaymom.blogspot.com. Your guest host this week is Associate Editor Dagny Paul. Dagny is an 8th-grade English teacher who lives in New Orleans with her husband and four-year-old son. She has an unhealthy (but entertaining) obsession with comic books and horror movies. Pseudopod would like to draw your attention to a fantastic announcement this week, the Eugie Foster Memorial Award for Short Fiction. The Eugie Award will celebrate the best in innovative fiction. This annual award will be presented for the first time in 2016—for works published in 2015—at Dragon Con, the nation’s largest fan-run convention. The Eugie Award honors stories that are irreplaceable, that inspire, enlighten, and entertain. It will shine the spotlight stories that are beautiful, thoughtful, and passionate. That change us and the field. The recipient will be a story that is unique and will become essential to speculative fiction readers. We look forward to seeing the list of finalists, which will be announced in the not too distant future. This award reflects what Eugie gave to us. She was inspiring, enlightening, and entertaining. Words fail to convey how much she meant to us as a creator and as a human. To remember how irreplaceable Eugie is to us all, we are re-running episode 428, “When It Ends, He Catches Her” which includes the Escape Artists memoriam at the end. It was a Nebula finalist along with this week’s story, “The Fisher Queen” by Alyssa Wong. For those of you who are new to the podcast, this is an essential part of the back catalog not to be missed. For those of you who have stuck around these parts, I encourage you to give it another listen. We look forward to celebrating Eugie and other authors and their unforgettable stories through this new award. She’s also been a finalist for the Hugo, Washington Science Fiction Association Small Press, and British Science Fiction Association awards. Foster died at Emory University Hospital on September 27, 2014 from respiratory failure, a complication of treatments for Large B-Cell Lymphoma. The day Foster died, Daily Science Fiction published her last story, “When it Ends, He Catches Her.” This story was short listed for the Nebula Award. Music in the outro is “Cylinder Nine” by Chris Zabriskie, from the Free Music Archive.